STUDIO FLASHES There are 34 products. New series of Quadralite Pulse Pro X features extremely shortflash duration time of 1/25640s (t0.1 at the minimum power in Speed mode) and lighting fast recharging. This two-light setup is made to be used as a basic studio kit for portrait photography. Thanks to included 60x90cm softbox you can achieve very soft and smooth light which is so desired in portraits. Move X 300 Kit also features two 200cm studio stands and silver umbrella. New series of Quadralite Pulse Pro X features extremely shortflash duration time of 1/28984s (t0.1 at the minimum power in Speed mode) and lighting fast recharging. 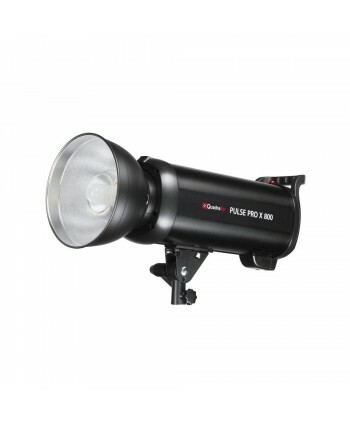 New series of Quadralite Pulse Pro X features extremely shortflash duration time of 1/35086s (t0.1 at the minimum power in Speed mode) and lighting fast recharging. Modeling light bulb dedicated for Quadralite Move and Pulse lamps with G6.35 mount. Move PRO flash is a mobile, lightweight and compact flashlight that can be used in studio or outdoors by professional photographers and amateurs. 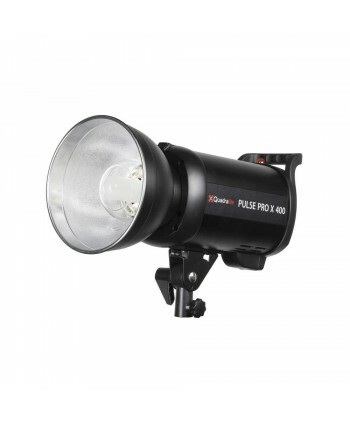 New series of Quadralite Pulse PRO flashes includes a range of strobes with flash power of 400, 600 and 800 Ws, dedicated for semi-professionals and professional photographers. Spare flash tube for Quadralite Move Pro 400, Pulse Pro 400, Pulse Pro 600, Pulse Pro X 400, Pulse Pro X 600. 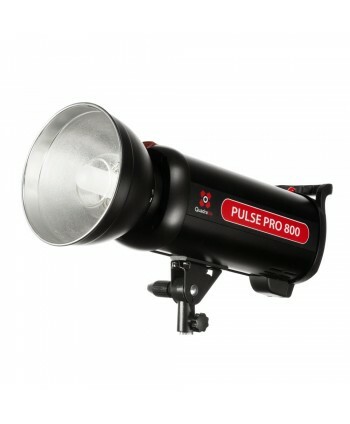 Spare flash tube for Quadralite Pulse Pro 800. 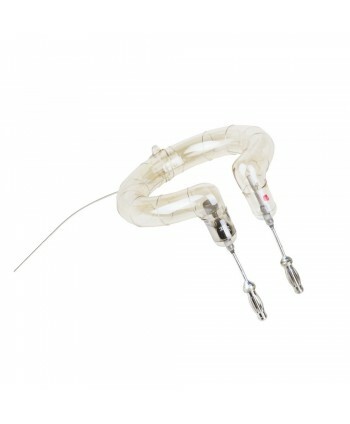 Spare flash tube for Quadralite Pulse 800, Quadralite Pulse 1200. Quadralite UP! 300 is a lightweight, compact, and durable flash dedicated for amateurs. Quadralite UP! 200 is a lightweight, compact, and durable flash dedicated for amateurs. Seria lamp Quadralite Pulse jest dedykowana dla pół-profesjonalistów oraz profesjonalistów poszukujących niezawodnego i trwałego sprzętu.  Lampy te charakteryzują się lekką i wytrzymałą konstrukcją, płynną regulacją światła modelującego, aktywnym chłodzeniem oraz możliwością bezprzewodowego wyzwalania. 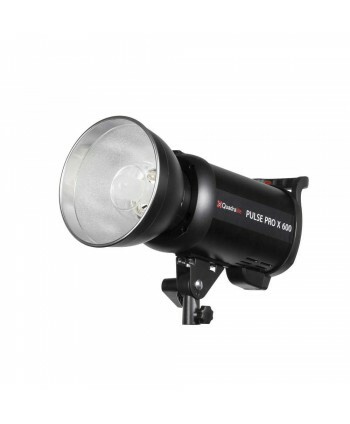 Move series are mobile, lightweight and compact flash lamps. Move series are mobile, lightweight and compact flashlights.